View the entire table of contents for the Oct. 31, 1995 issue. Light Makes Right Barbera and Dolcetto are the best bets from Piedmont while Barolo and Barbaresco endure difficult years By Per-Henrik Mansson Northern Italy's Piedmont possesses many strengths in its wine repertoire. 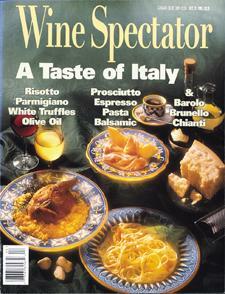 For the full article, check out the new issue of Wine Spectator, on newsstands October 31, 1995.